Posted on September 18, 2011 by Susan H.
Local Farmer’s Markets, farm stands and grocery stores are all filled with fall’s best produce. Bushels of tomatoes and peppers are just waiting to be cooked up and canned. It’s that time of year when families get together to pitch in with the laborious process that will yield them the season’s best throughout the winter. 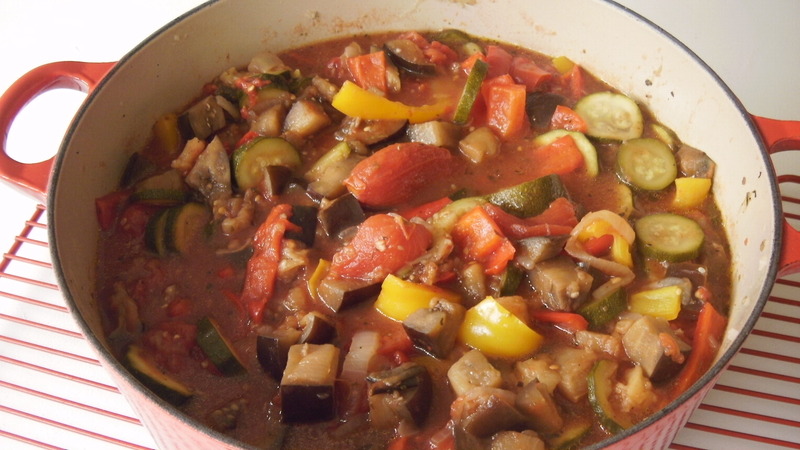 My favourite fall dish, using the best of the fall season produce…Ratatouille. Perhaps not my children’s favourite, but I haven’t given up hope yet! 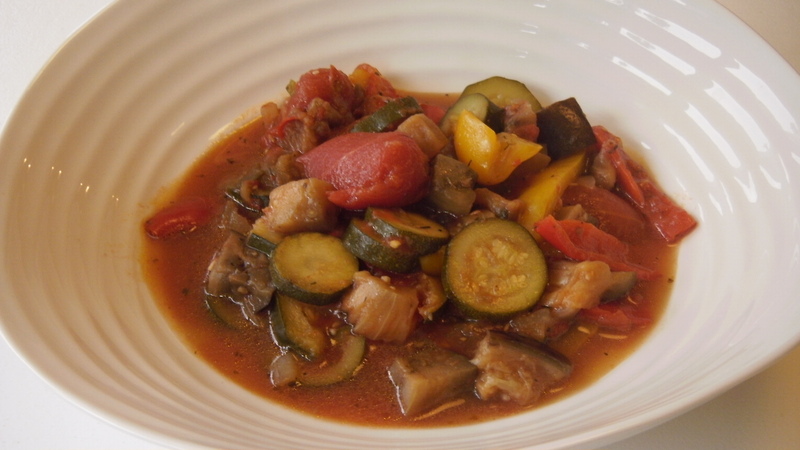 Ratatouille combines all the colours of fall into one healthy side or dinner dish. Delicious to poach fish, chicken, pork or even an egg! Tasty hot or cold. 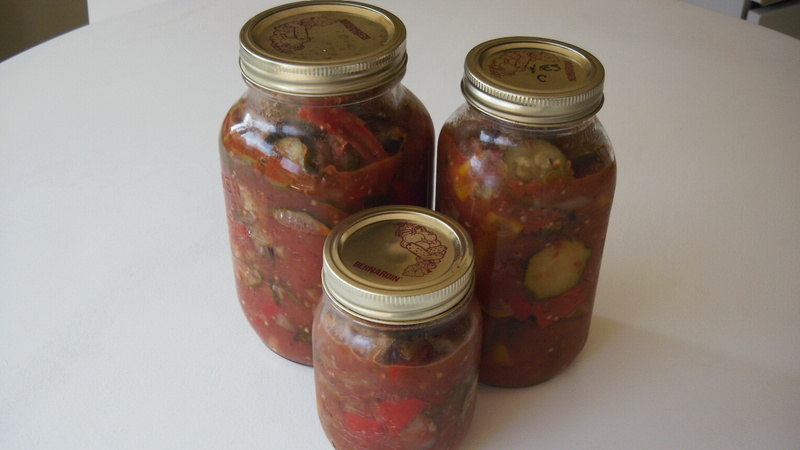 I like to make a double batch to freeze in different sized mason jars for an easy go to vegetable throughout the winter months. Ratatouille was the perfect extra side dish to our Thanksgiving Dinner that I hosted last year. My husband’s family were pleasantly surprised at the addition. In a large pot, heat the oil on medium and cook the onion gently until tender. Season with salt, pepper, sugar and dried italian seasoning. Simmer for half and hour, stirring occasionally. Add canned tomatoes and tomato paste and bring to a boil. Lower heat to simmer for an hour to soften vegetables and blend their flavours. Tip: Even though this may not be a dish that my boys favour, I still like to offer it to them. I believe eating ones veggies is an important component to staying healthy. ‘Practice what you preach’…if I want them to include more vegetables in their diet, then I need to be providing them with a variety to choose from. They need to see Andy and I enjoying the fresh produce that each season provides. This is how we live…………so this is what I blog. Always CHECK THE INGREDIENTS before you purchase products. 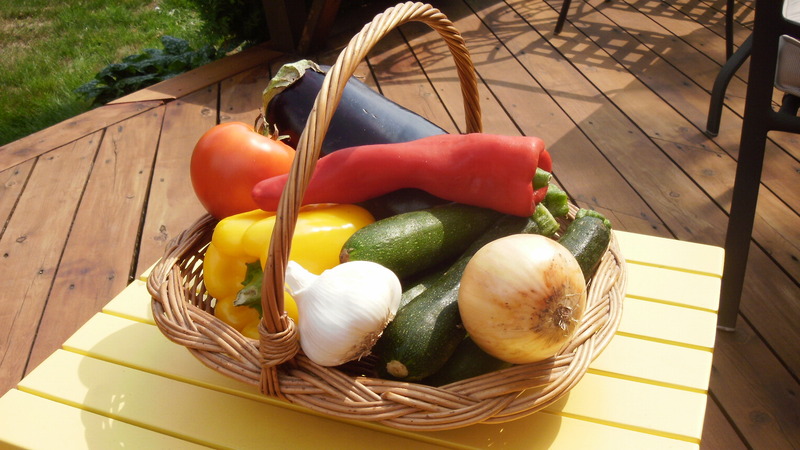 This entry was posted in corn free, dairy free, dinner, egg free, peanut/tree nut free, side dish, vegetables and tagged freezer ratatouille, ratatouille side dish, vegetable ratatouille by Susan H.. Bookmark the permalink.